An in vitro fertilization (IVF) cycle is all about hope, often after years of hopelessness. Careful optimism is important to get you through, but it is even more vital to be fully informed and prepared as you enter the process. Side effects and complications in IVF are usually mild, but they can be upsetting if you are not expecting them, and in rare situations they may be medically dangerous. Understanding all the possible side effects will help you cope with any that might arise, and will let you look out for any serious problems so that you can get help. What kind of side effects or issues could I experience during IVF treatment? The most common side effects experienced by IVF patients are caused by the fertility drugs used to regulate the cycle and induce ovulation before the egg retrieval procedure. Mild reactions to fertility drugs can involve physical symptoms such as hot flashes, headaches, abdominal pain or bloating, and emotional symptoms such as restlessness, mood swings, or just generally feeling down or irritable. While these side effects are fairly normal, keep an eye on the severity. If pain or discomfort becomes severe at any point, you should get in touch with your fertility treatment physician or team, as this could be the sign of a more serious problem. The most serious drug-related side effect is ovarian hyperstimulation syndrome (OHSS). This is a rare but potentially dangerous over-reaction to the fertility drugs used to stimulate egg production and maturity. Many of the symptoms of OHSS look like more severe versions of mild reactions, such as bloating and abdominal pain, but you may also experience decreased urinary frequency, shortness of breath, faintness, severe stomach pains, or as much as a ten-pound weight gain within 3-5 days. It is important to contact your doctor immediately if you experience any of these problems. IVF does not increase the risk of miscarriage. The rates of miscarriage after IVF isn’t higher than after natural conception, but it can still happen. Pregnancy loss can feel even more devastating after having gone through such an intense process. An ectopic pregnancy is a dangerous condition where an embryo develops in fallopian tube rather than womb. Even though the IVF process places embryos directly into the uterus, in rare cases ectopic pregnancy may still occur. Exactly how this happens is not well understood, but it may be more common in women with damaged fallopian tubes. This is a serious complication. An ectopic pregnancy will cause an abnormal rise in pregnancy hormones, abdominal pain, and possible vaginal bleeding. If you do get pregnant during your IVF cycle, there is a (very rare) chance that you could have a smaller or earlier baby then if you had conceived naturally. Current research shows that the high levels of hormones used during IVF stimulation may be to blame. Low birth weight is only associated with fresh embryo transfers. Low birth weight is no longer seen in IVF cycles using previously frozen embryos (known as frozen embryo transfer or FET). Having a multiple pregnancy and births (twins, triplets or more) is the highest health risk associated with fertility treatment. The risks to both babies and mothers are considerably higher and more serious than singleton pregnancies. However, advances in IVF techniques have made this a much rarer outcome. Many clinics are now able to help their patients achieve pregnancy with the transfer of a single embryo, almost eliminating the risk of multiples. Going through IVF is a highly emotional, physically demanding and stressful experience. The rollercoaster of emotions, the high levels of hormones, the frequent visits to the clinic, and all the pressure of following medication protocols and undergoing invasive procedures: it all takes its toll. Fertility treatment can push women to their limits, and the process can cause strain in relationships just at the time when you most need someone to lean on. Organizing sufficient support from friends, relatives and professionals is very important. What are some side effects women may face after an IVF cycle? The embryo transfer process is quicker and easier, and generally has less chance of side effects, but you could experience some of the same symptoms. IVF can be expensive, and depending on your level of insurance coverage and financing options, this can be a serious consideration for hopeful patients. Fertility treatment can put families under considerable financial strain, especially when the profound desire for a baby overtakes more practical considerations. 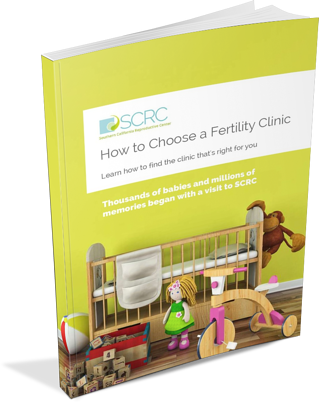 Understanding in advance how much you can afford to spend and how many cycles you will be able to afford is a very important part of preparing for IVF. 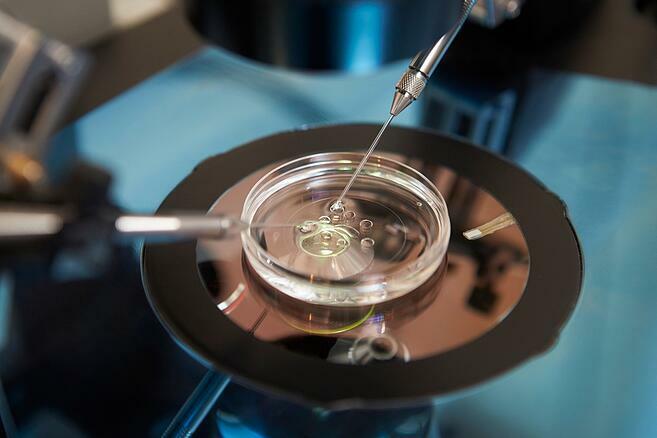 Some patients, especially those that come from traditional cultures and religious backgrounds, may be worried about the ethical position of IVF. Questions of how to deal with genetic screening and the storage, donation, or disposal of unhealthy or unused embryos are common. Even if a patient has satisfied herself on these topics, she may feel compelled to hide her fertility treatment from judgemental relatives or community. This can add to the sense of isolation and stress she feels during the treatment. Thinking about the potential complications of IVF treatment should not cause you undue stress. Most side effects are manageable, and even the rare problems can be controlled if caught early and properly treated. A good relationship with your fertility team is key. You should feel completely comfortable speaking to them about your concerns and questions, and trust that they will be responsive and encouraging. Going through IVF isn’t easy, but in the right hands you should feel safe, supported and hopeful.